Considerable clouds early. Some decrease in clouds later in the day. High near 80F. 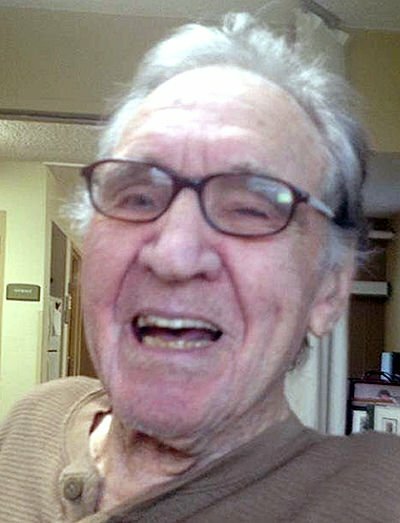 Winds light and variable..
George grew up in Oregon City, competed in the boxing program and graduated high school, then joined the U.S. Army upon the country’s entry into WWII. He served in the elite 101st Airborne, Company “C”, 502nd Parachute Infantry Division, as a light machine gunner. He was of “first in” D-Day, Normandy Invasion, jumping in behind enemy lines, that historic day. Surviving this, he went on to jump into the Holland Invasion ... and then on to Germany, where he was wounded, taken prisoner, later to escape and return to Allied lines and eventually his own outfit. George met the love of his life, Alice, while on a pass from Jump School, visiting his sister Rose, where she was a fellow worker at a café in North Carolina. They exchanged letters all during the war, and upon notification that he was killed in action, Alice traveled to Oregon to be with his mother and family. Upon his return to the states and recovering/retraining for the land invasion of Japan, they married July 8, 1945, at the Fort Vancouver Hospital chapel. Following his discharge, George enrolled at Oregon State University, graduating with a teaching degree. In keeping with a promise he made during his time in war, he went on to seminary college, Carson Newman University, and was an ordained Baptist minister. He chose Hermiston area as a place to begin his career and raise his family, arriving in 1956, where he taught at Umatilla High School, living in Irrigon and ministering at the Baptist Church there. In 1960 he began teaching at Hermiston High School, teaching in the school district 26 years before retiring, followed by 10 years more as a substitute in the Umatilla County region. In retirement, he moved to Umatilla, where he served in the community as city council member 1989-90, and as mayor 1991-2004. He sat in U.S. Congress, participated in the Oregon Legislature, and partnered up with then-Oregon Senator Gordon Smith and present Sen. Greg Walden to accomplish many contributions and improvements to the Umatilla area. George was honored with the George Hash Park for his devote service to his community. George was a craftsman and master carpenter, building many homes and businesses in the region, his summers free from teaching. He loved and was committed to his community, as well as being active in church, the Umatilla Indian Nation, NRA, VFW, 101st Airborne, Coast Guard Auxiliary, and the Gideons Association. He is preceded in death by his wife of 67 years, Alice, in 2010; his parents; one brother, John; sister Rose; and a grandson, Tyson. Survived by his daughter Georgene, sons Randy and Dan, 13 grandchildren, 13 great-grandchildren, a brother Bill, and many nieces and nephews. Viewing will be held from 2:00 to 6:00 p.m. on Wednesday, April 24, 2019, at Burns Mortuary of Hermiston, 685 W. Hermiston Ave., Hermiston, Ore.
A graveside service will be officiated by his brother, Rev. 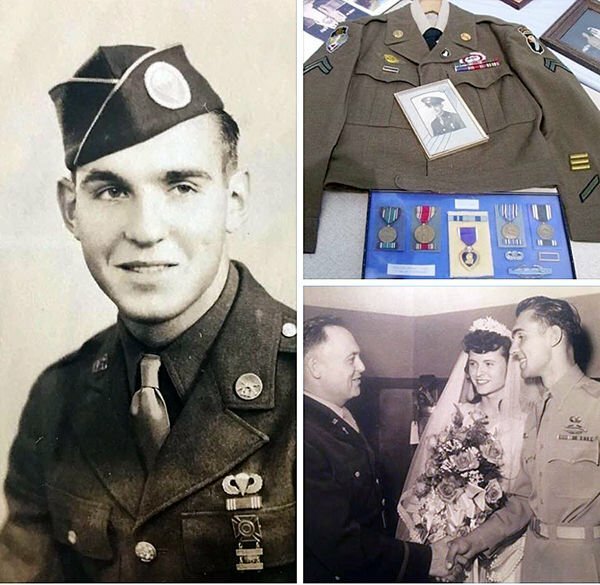 Bill Hash, with military honors at 12:30 p.m. Thursday, April 25, 2019, at Willamette National Cemetery in Portland.